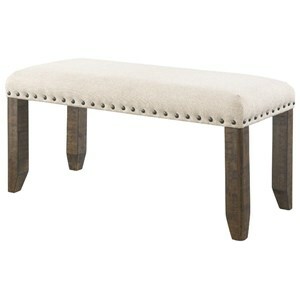 This unassuming bench will bring a simple, rustic vibe to your dining room. Keeping it simple, the sturdy bench has thick block legs and a planked top. Pair with the matching side chairs and table from this collection for a charming and straightforward dining set. 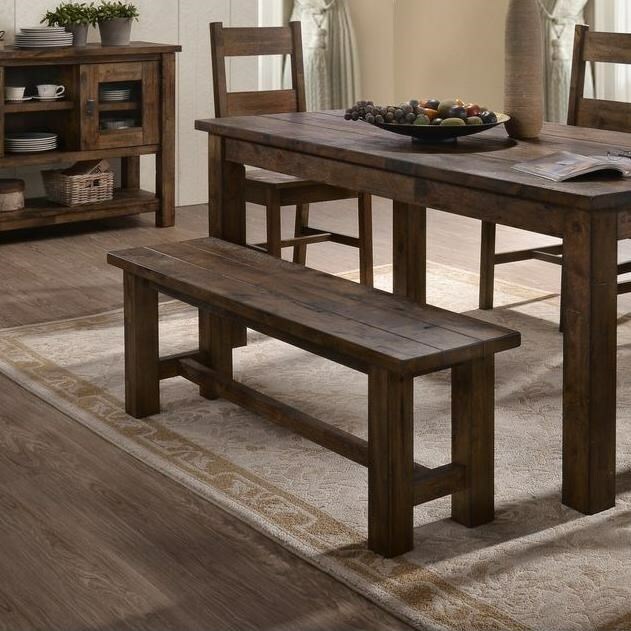 The 6377D Rustic Dining Bench with Block Legs by Lifestyle at Sam Levitz Furniture in the Tucson, Oro Valley, Marana, Vail, and Green Valley, AZ area. Product availability may vary. Contact us for the most current availability on this product. This dining collection will be the perfect upgrade to your breakfast nook or informal dining area. Simple shapes and clean lines with a brown finish create a warm, cozy feel to this rustic collection. The 6377D collection is a great option if you are looking for furniture in the Tucson, Oro Valley, Marana, Vail, and Green Valley, AZ area. Browse other items in the 6377D collection from Sam Levitz Furniture in the Tucson, Oro Valley, Marana, Vail, and Green Valley, AZ area.